Our special treasure along the way is stopping along the way as if the world was our own. 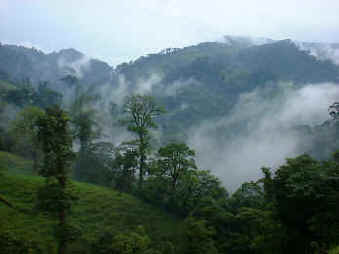 You spend time in the mountain with the lookout to the Arenal Volcano and stay there over night. There is a minimum of 4 people. We can help you to match the riding group together. We start any date that suites you. You are riding some of the well trained and well-cared for horses in Costa Rica. We get many compliments for this. 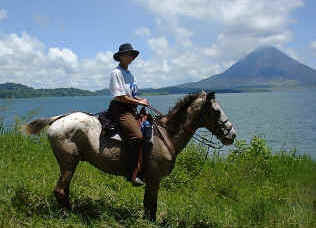 It is advantage to bring some horseback riding experience with you. 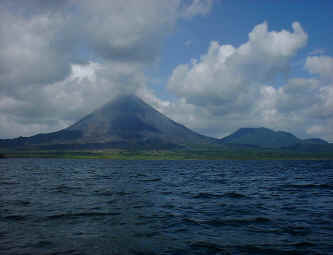 Anyway there are the Arenal Volcano hot springs waiting for you in Arenal Volcan. Depending on interest and experience we offer the 2 hour campesino tour at $ 38 US or day ride for $ 95 US per person.